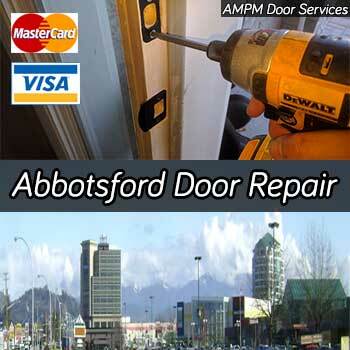 Our 24 hour door repair service is a great convenience for both residents and business clients in the city of Abbotsford BC. Our service professionals will reach your address within a very short time with all the necessary equipment and component to repair the damaged door. Abbotsford doesn’t have many companies which offer 24/7 emergency door repair service and that make our service important and helpful. Call our professionals and inform them with your problem, and then they will make suitable arrangements to solve your door related problem regardless of your address. The city of Abbotsford as we have noticed has a plenty of old houses. This suggests that there is a plenty of old residential doors and locks which may not function properly. Doors are the protectors of your house or business place. So it is important to make sure that your doors and locks are functioning properly. Leave your problem to us. We work on both interior and exterior doors and also interior frames as well. Feel free to contact use to repair your broken lock or even replace it with a brand new lock. As mentioned earlier the city of Abbotsford has a plenty of houses and commercial properties. We cater for both these sectors. Our professionals have the right knowledge to repair nay type of steel or metal door, and glass or aluminum doors as well. Problems with storefront and entry doors are a common problem that we have identified in Abbotsford. Contact us and get your doors repaired for safer and a peaceful environment. Apart from the door replacement and installation service, we also work on sliding patio doors in Abbotsford, which is a service many of the companies don’t offer. Our experts exactly know the functioning of a sliding door and they are equipped with the necessary knowledge and equipment to repair these types of doors. We work on any component of a door from top to bottom including door handles, locks, rollers and tracks of glass patio doors. This is what makes our service unique. Contact us now to experience excellent door repairing services in Abbotsford. Our experts are willing to help you at any time of the day.